Enjoy a unique gastronomic proposal in an unparalleled setting, in front of Migjorn beach and with astonishing views of the Mediterranean, open every day for lunch and dinner. The menu combines Mediterranean with international cuisine and flavours, using local products and with daily recommendation from our Chef. Breakfast, lunch and dinner with the most exquisite and fresh ingredients man can find combined with the creative touch of our restaurant’s team. 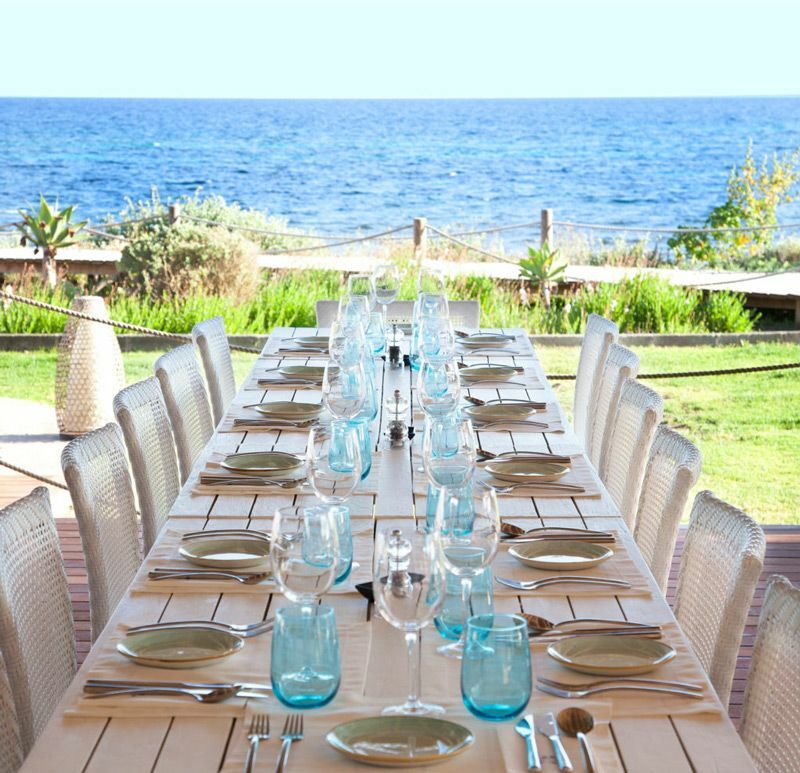 Join us under the stars of Formentera for an unforgettable dining experience, only a few steps away from the sea and with the sand caressing your feet. From June to September, the freshest fish and seafood cooked on a traditional BBQ “espetada” comes accompanied by live music.